During her carreer as a professional dancer, Sophie experienced the benefits of pilates and osteopathy. She obtained her pilates teacher training certification in 1996, opened her own pilates studio and worked for 3 years with Cirque du Soleil artists for both rehabilitation and prevention. 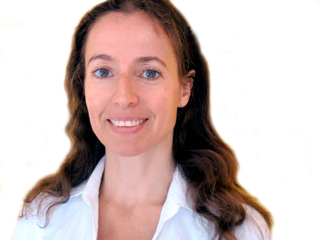 Her growing interest and passion for for understanding health and the body prompted her start her training in osteopathy at CEO in 2006, where she completed the first cycle of training. To deepen her practice she took supplementary courses during the ‘Symposium International d’Ostéopathie’ such as "New approach for the manipulation of the spine and the pelvis for hyperalgic, older or polytraumatised persons (Jean-Pierre Barral)", "Fascia as a sensory organ (Robert Schleip)", "The best of Bernard Darraillans on the somatoemotional", "Energy, Osteopathy; matter, movements and interrelations (Nicholas Handoll, Caroline Penn)", "Health of women : osteopathic keys, fertility and maternity (Nathalie Camirand, Geneviève Kermorgant)" and "New methods of treatments for very young kids (Philippe Druelle)". Sophie has been practicing osteopathy for three years in clinics with a diverse clientele including: preventive interventions, acute conditions, long-term maintenance, pre- and post-surgery, pregnancy follow-up, children, athletes, the elderly, etc. Her passion and sensitivity for people, movement, health and body-mind balance, allow her deepen her practice while enriching her knowledge and integrating new treatment tools. Call for an appointment: (514) 767-6858.